Hank is easily recognized when he comes for his therapeutic horseback riding lesson with Mounted Eagles. He always has a big smile on his face and shares his positive enthusiasm with everyone around him. He has been a part of the Mounted Eagles family for several years and rides each Tuesday afternoon. Hank requires assistance from his volunteer coaches to get mounted from his wheelchair up onto the back of his four footed mount named Wind Dancer. After putting his foam leg protectors between Hank’s legs and the saddle, he is ready to go. Hank loves horseback riding and works hard to keep balanced in the saddle as he steers Wind Dancer around the riding arena. It takes a lot of concentration to remember everything–sit up in the saddle, hold the reins correctly, give Wind Dancer the right signals to get him to go where you want him to go. With the support and direction from his riding coach and side walkers, it all seems to come together as Hank and Wind Dancer become one as they move through their lesson. Riding a horse can also be relaxing when you can feel the horse’s walking motion. The horse’s walking motion helps to build core muscles in the rider and promotes improved balance. The improvements from horseback riding are extremely beneficial to riders like Hank, who must utilize a wheel- chair. Hank is a farmer who loves to spend as much time as he can up on his tractor. Rumor has it that Hank is looking for an even bigger tractor to do his farming chores. He is a resident of Pequot Lakes and also has a brother and sister-in-law living nearby. When he can’t be up on his tractor, Hank can be found watching the RFD-TV channel. Hank certainly loves horses, but he also has a cat named Kitty and a dog named Bear to keep him company. He is also known to be quite the jokester. 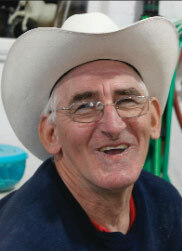 Hank has a contagious laugh and he enjoys making all of his Mounted Eagles friends laugh right along with him. With a cowboy hat on his head and a big grin on his face, yes Hank you are easily recognizable. Hank our smiling friend, we look forward to seeing you each week! Congratulations on being selected as the Mounted Eagles Rider of the Quarter.